Enbridge Gas Distribution came to us with a challenge: consumers could not find trusted, objective information on energy efficiency online. Most of what was out there was provided by retailers like Home Depot and consumers had a bad case of Green-Fatigue. EGD knew that they were a trusted brand but they did not have consumer mind-share in energy efficiency. They had been previously unsuccessful in turning the relatively dry area of energy efficiency into a compelling narrative to ignite interest and urgency in consumers. 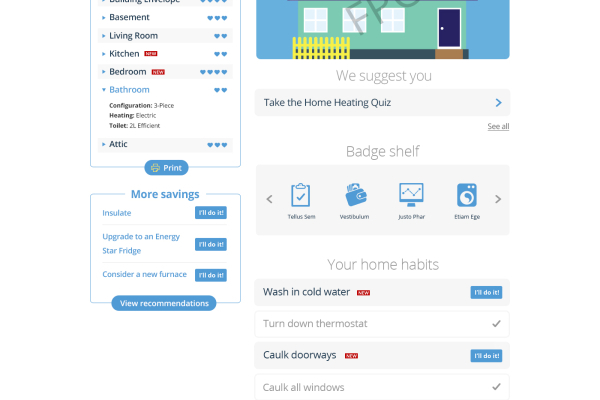 Our solution: A gamified web-based application that would allow consumers to perform a self-audit on their home and their habits and learn how they could improve the energy efficiency of their household and save money. We performed all user research and audit of business goals through an extensive wire framing process to development of the application. The biggest technology challenge was creating a game-like interaction that would be fully AODA compliant, while still functioning in Internet Explorer 8. The biggest project management challenge was satisfying multiple stakeholders across customer care and business process while maintaining aggressive timelines and a tight budget. 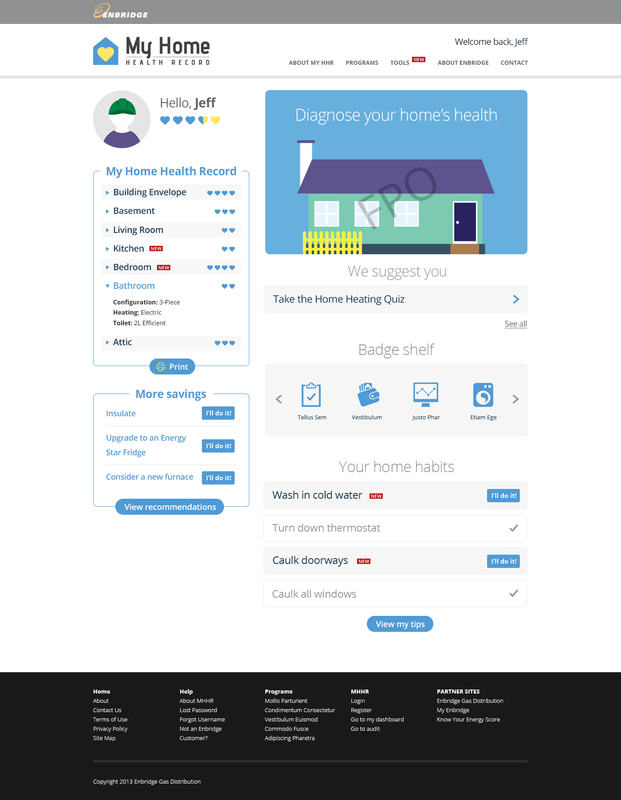 The result: a home energy audit that feels like a game, with a compelling narrative built around the savings inherent in incremental lifestyle changes. Fully AODA compliant, the entire experience can easily be run using only keyboard commands, across all browsers including Internet Explorer 8. Hi Don, I think you should probably be directing your note to the customer service folks at Enbridge at https://www.enbridgegas.com/homes/customer-service/contact-customer-service/index.aspx. Rec’d your msg that I use excess gas. WHY? Because I am no longer called a Senior as I am now called elderly. I keep my home warner ALL DAY than most homes. Well aware of costs ao no concerns. Hi J Drew, I think you should probably be directing your note to the customer service folks at Enbridge at https://www.enbridgegas.com/homes/customer-service/contact-customer-service/index.aspx. Your point is well taken however: we don’t necessarily take the needs of the elderly into account when we develop these cost savings ideas, clearly they are not right for you.